Add a Digital signature and Graphical signature to a PDF document. Add a Digital signature and Graphical signature to a PDF document. From the menu bar choose Edit > Preferences. 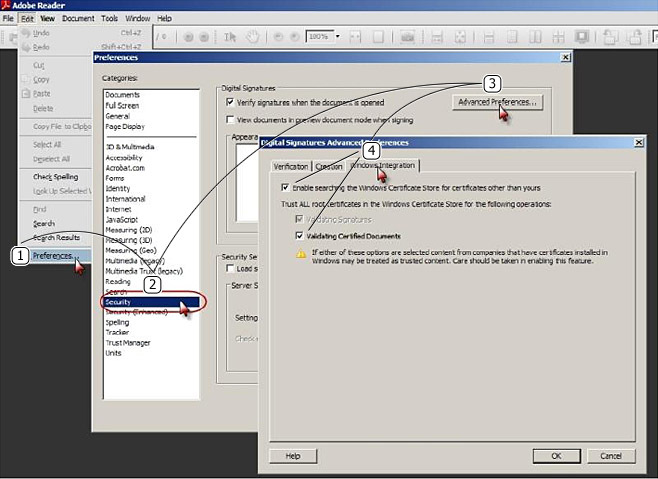 Choose Security from the menu and click the Advanced Preferences button. Click the Windows Integration tab and there check all of the boxes.